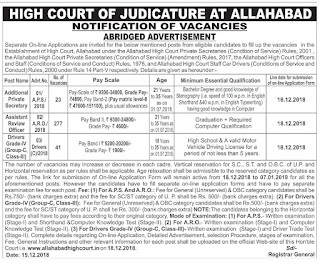 ALLAHABAD HIGH COURT Additional Private Secretary Recruitment/Exam-2018: Allahabad High Court released a notification for the recruitment of available posts of Additional Private Secretary jobs through UPHC. There are total 39 APS vacancies in this AHC Recruitment 2018. Candidates who are qualified Law degree and having type writing skills and computer knowledge skills they are eligible for applying for this UPHC AHC Additional Private Secretary Jobs. Candidates will be selected based on Written Test, English Shorthand Test and Computer Knowledge test for these AHC Add Private Secretary jobs. Online form will be available from 18-12-2018 to 17-01-2019. It is mandatory to submit the application form online through the Allahabad High Court UPHC website of http://uphc.cbtexam.in. 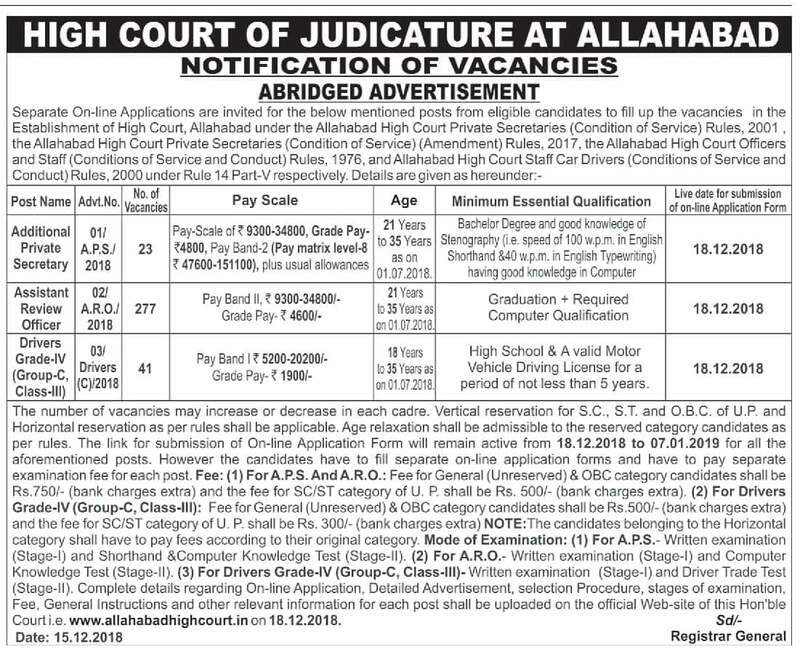 More details about this Allahabad HC recruitment Additional private secretary selection process, exam pattern and exam syllabus, important dates and other details are given below. 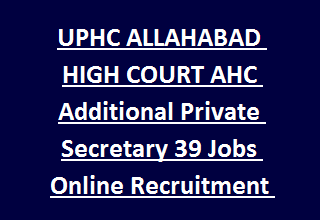 There are total 23 vacancies in this recruitment of AHC UPHC APS recruitment 2019. Age limits as on 01-July-2018 is 21-35 years and upper age limit is relaxed 5 years for reserved candidates. Candidates must have qualified Law degree and knowledge of Computers, English Shorthand. Exam/Application fee is Rs.750 + Bank charges for General and OBC candidates and Rs.500 + bank charges for others. Candidates will be selected in two stages based on merit in written exam, shorthand typing test and computer knowledge test for this Private Secretary Jobs. Written exam will be conducted for 100 marks for this Private secretary jobs and consists of two parts. Part 2 is descriptive type exam for 40 marks. Submit application form online through UPHC website of http://uphc.cbtexam.in on or before the last date of 17-01-2019. For exam date and other details visit the Allahabad High Court website of www.allahabadhighcourt.in. Application form is available in UPHC website only and no other mode of application form will be accepted for this AHC Addl Private Secretary Jobs.